It's time to shed the baggage, unmask the lies and experience the freedom. It's time to fulfill your destiny, purpose and calling. Register at New Tribe church. This couple are RTF Ministers, Trainers and Seminar Leaders since 2007. 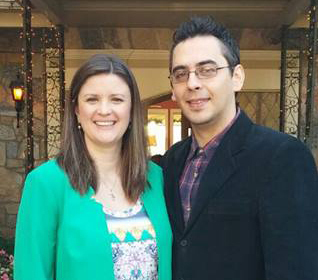 They worked as South America RTF Directors for almost 10 years when God called them to serve RTF in North America. They have a passion to empower Christians to live fulfilled lives, with a close relationship with the Holy Spirit. They believe that Christians can know their identity in Christ and deal with strongholds from the past that tries to keep them trapped in the same patterns and sin. They are Christ lovers and very passionate about healing and freedom!